And thus because we cannot stop people from using alcohol and drugs - despite strict anti-addiction laws and spending billions of dollars on implementing these laws - then we should allow and facilitate them doing it in the conditions, in which they don't cause harm to the rest of the society. And that is why it would be recommended to build enclosed centers in which people could express themselves as an addict. 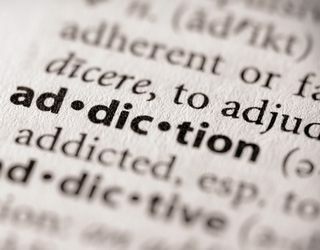 I know that expressing self as an addict means that somebody is literally killing him/herself or at least causing harm to himself and we are kind of allowing them to kill themselves but the whole point is - and I repeat it again - that we cannot help anybody if they are not ready to receive help. So we should allow people to drink as much alcohol as they want ( and the same with drugs and other stuff ) in the controlled environment so that they don't cause harm and damage in the society. But at the same time there would be specialized centers ready to help and assist those who decide to stop killing themselves through addiction and return to society. Obviously some people would fall back into the addiction but here we would have in place already the specialized detoxification and help centers and also enclosed centers when somebody could come back and "enjoy" his/her addiction to the fullest. Would this proposal be effective in dealing with the addiction problem which is really huge on our planet ? Well... it is obvious that our current system is not effective at all. And that simply means that we must look and try different solutions. So maybe my proposal is not 100% perfect but the adjustments would come on the way. What is important for now is that we open our eyes and start to look for different solutions.